Sloughi* skull after Studer, 1901. Already a century ago, the North African Sloughi was the subject of scientific research. 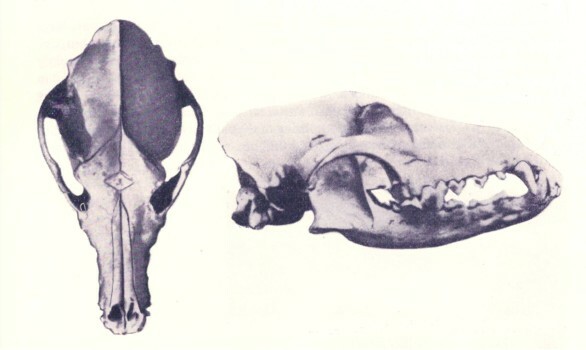 In his article entitled "Die Prähistorischen Hunde" ("The Prehistoric Dogs"), published in 1901, T. Studer observed that large Sighthounds used for hunting, such as the North African Sloughi and the Russian Borzoi, have a very much drawn out skull. He described a cranial superstructure (sagittal crest) considerably heightened, whereas the forehead is low, the stop hardly or not at all pronounced. The part of the skull in front of the first superior premolar is long, high and narrow. The outer wall of the maxilla forms a right angle with the narrow nasals. Because of the elongated maxilla, the premolars are placed far apart. In some cases, there are additional premolars. - A backward slope of the occiput. - A weak development of the occipital crest. - The absence of a sagittal crest, the parieto-frontal ridges remaining separate throughout. Most importantly, in comparison with the Borzoi, the Sloughi skulls are shorter, wider between the orbits, and more robust and the olfactory tubes are better developped in the Sloughi, the nasals being vaulted as a result. 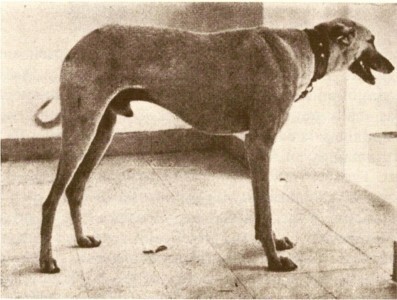 These morphological characteristics indicated a good sense of smell, and correlated with the known fact at the time that North African Sloughis, although they are Sighthounds, can hunt by scent. In fact today's Sloughi owners admire the tracking ability of this breed. Siber M (1899): "Die Hunde Afrikas", StGallen. * This information is cited in a book by H.Epstein entitled "The Origin of the Domestic Animals of Africa", Africana Publishing Corporation, published in 1971. Unfortunately, the same mistake which is rampant in the publications in the English language is made in this book also: the author refers to the North African Sighthound as "Saluki." 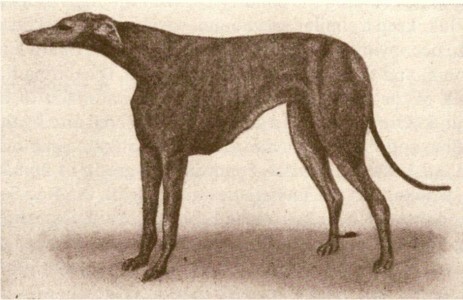 Therefore the word "Saluki" is replaced here by the correct word "Sloughi", this documentation being about the North African Sighthound thus named.